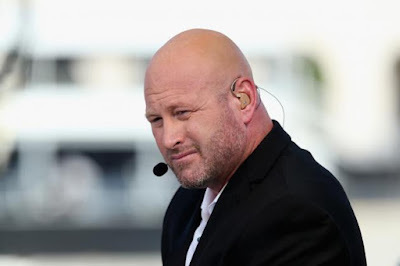 Trent Dilfer is at it again. It's been two years since his now infamous proclamation that Tom Brady and the Patriots "aren't good anymore". Per NESN's Ricky Doyle, Dilfer refuted ESPN colleague Adam Schefter's report that New England is asking for first and fourth round picks for third year QB Jimmy Garoppolo. “I can promise you nobody is trading a first and a fourth for Jimmy" Dilfer rebutted. 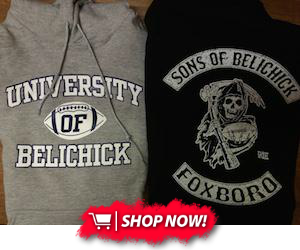 It is unclear how much stock can be put into a Trent Dilfer promise. Has he spoken with front office executives around the league? One would think he would secure an actual source or two before bashing Schefter, who has built a career as arguably the most reliable league "insider" in today's media. Dilfer went on to state that Garoppolo would net a combination a second and third round picks, yet contradicted himself just a moment later when he said “The only caveat to that is people are valuing first-round picks less and less these days." The Sam Bradford trade netted the Eagles first and fourth round picks. Yes, this was out of last second desperation. However, for a team that is looking for their QB of the future, what more could you want than a young strong-armed athlete who has three years of seasoning under the greatest QB in history, and who would only carry a $885,077 2017 cap hit to his new club? Come on now Trent. Let's face it. You aren't good anymore.